From the Val D'Orcia we drive down to Rome to drop off the car, and spend the last days in a city we call one of our second homes. 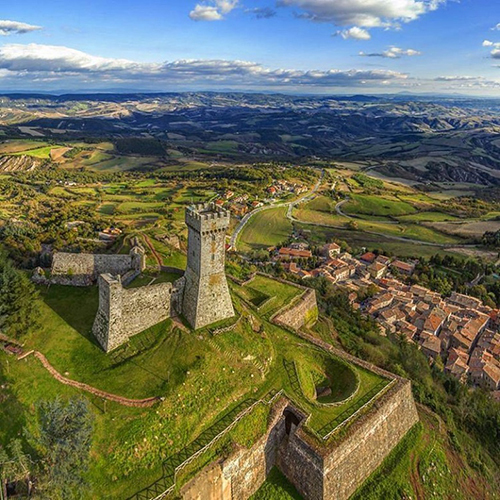 We will be staying near the hill top town of Radicofani in the Val d'Orcia area of Tuscany. 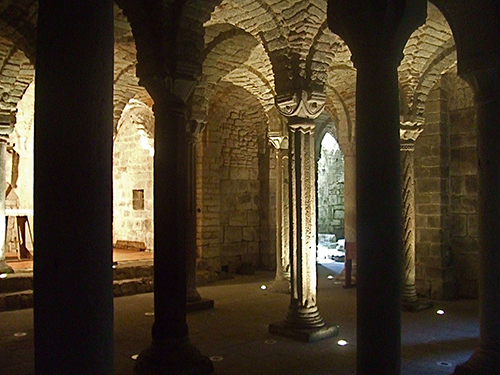 We have travelled in this area before and for sure we will re-visit the Abbey of Sant'Antimo. 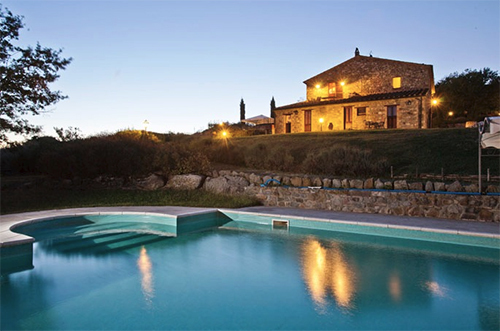 For this year's visit we will be staying at the Podere Pietreta, which is located near the town of Radicofani. 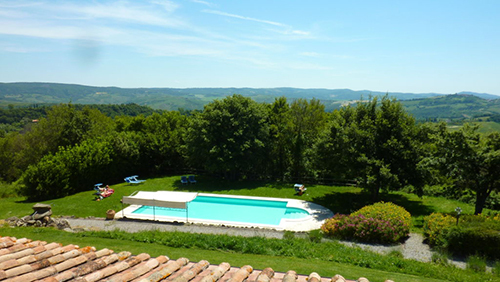 Radicofani is located about 60 km southeast of Siena., a small town with about 1,200 people. 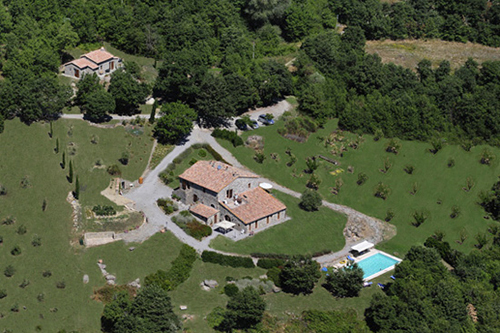 IT is located on the southern edge of the Province of Siena. The Region of Lazio are to the south and Umbria is to the east. The town is on the top of a hill, on along the ancient RomanCassia Road and is located half way between Rome and Florence. I recall from our last visit the hills seem to be covered with sheep. Well, it turns out the area of famous for itsw Pecorino cheese. In the town there is a fortress, open every day from 9 to 7. I have read that before climbing the tower, walk in the pine grove that surrounds the fortress as there are characteristic arches, vaults and pits partially hidden by vegetation. The tower, rebuilt in the last century, is 37 metres high. As the photo above shows, we are talking major fortrress. Work on it actually dates back to 978. This is the home of the warrior Ghino Di Tacco, he was known as the Robin Hood of Val d'Orcia. Evidently, going to the top of the tower allows for a view of Siena. The Church of Saint Peter is on the main piazza, it has frecoes and great marble inside. Views from the Medicean Vaill, build by Ferdianndo 1de Medici, originally as a postal station because of its half-way position between Rome and Florence. Great views over the valley. I plan to drive south towards Monte Amiata, an extinct volcano. It has a height of 1,738 meters. The drive is very scenic with curve after curve through the woods with openings for views ofthe landscape. Onroute is the village of Abbadia San Salvatore, where there is one of the most beautiful and suggestive abbeys of all Italy. The Benedictine abbey was founded in 743. It is therre as the King saw the Trinity appear on the top of a tree. 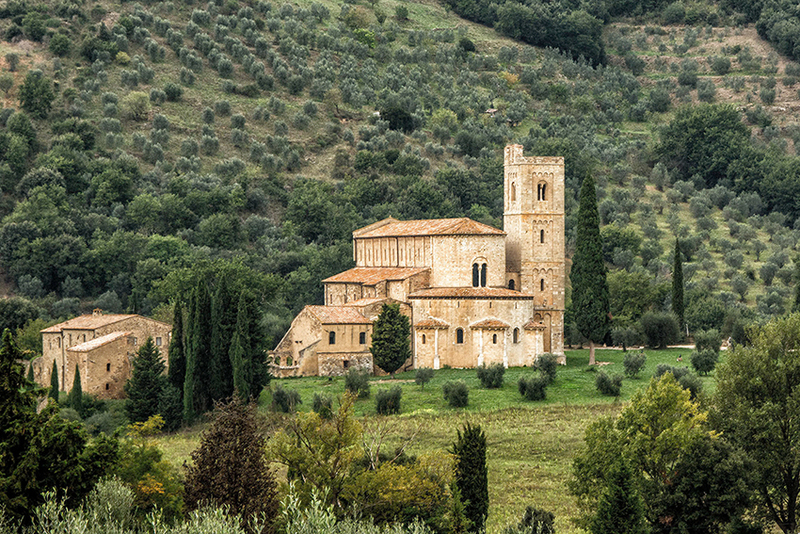 In the 1200 the Pope gave the monastry to the Cistercians, hoping they would restore it. But, Siena took control and did not protech it from attacks. Later, mining in the area brough its own riches. Now the people of the Abbadia has electricity, telephone and water service that dates back to the 1900s.